If you like word searches, dot-to-dots, crossword puzzles, jigsaw puzzles, brain-teasers, etc., then stop on in! 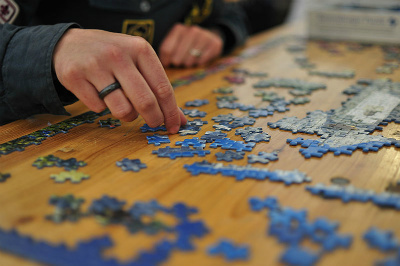 We will have a variety of puzzles on hand, or feel free to bring your own. Refreshments will be served. Large groups (of three or more), please register in advance with the number of attendees, so we can ensure seating accommodations.